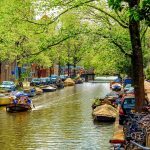 If you come to live, work or study in The Netherlands you will likely have some questions about the things you need to arrange in order to successfully settle. We have constructed a guide that will help you with some of the questions you might have and get more acquainted with topics related to living, working and/or studying in The Netherlands. These topics vary from ‘people and culture’ to health insurance (in Dutch: zorgverzekering). The social security system in The Netherlands is very comprehensive. That is why when you live and/or work in The Netherlands you are entitled to certain benefits and insurances, depending on your employment status and income. The system covers several areas, ranging from children benefits to long term care and state pension for the elderly. Moreover, there are employment social security insurances, such as unemployment benefits, sick leave and disability benefits. There are many job opportunities for expats, even if you only speak English. The Dutch social security system is very good, every Dutch resident is guaranteed of some kind of income, even when they do not have a job. In order to support the social security system, Dutch employees pay a relatively high income tax. Most money transactions are done through online banking. The healthcare system in The Netherlands is semi-private and can divided into three divisions. Firstly, elderly and long term care, for example, for chronic conditions or disabilities. Secondly, basic and specialistic medical care, for example, GP-visits, hospital stays and specialist treatments and procedures. And finally, supplementary health care, such as dental care and physiotherapy. When you are ill or not feeling well in The Netherlands the first person you contact is the General Practitioner (GP). The GP will examine you and provide you with advice and prescription medication if necessary. If needed, he or she may also redirect you to a hospital or clinic for further examination or treatment. Medication may be collected from a pharmacy but please register first. Hospitals in The Netherlands provide a high level of care and may have a certain specialisation where they excel. Dental care in The Netherlands is fully privatised and can only be insured for adults through a supplemental insurance. For children some dental care is covered through basic health insurance. The Dutch healthcare system is renowned for its high quality of care. Healthcare in The Netherlands is reasonably affordable. It is easy to apply for a Dutch health insurance. 112 is the national emergency number. The Dutch education system is of high quality. There is no tuition fee for state primary and secondary schools and they are available for everyone. Moreover, there are several opportunities for international education at both local and private schools. The amount of bilingual schools is likely to grow rapidly. Higher education is also of high quality and available for everyone. Though, a tuition fee around 2000 euro a year is involved, depending on the chosen study. Students from low-income families entitled to benefits and special loans to make sure the system is available for all. Dutch high school students face lower amounts of stress and anxiety that students from other countries in the world, such as the USA, China and Korea. There are a lot of Universities that offer different study programs entirely in the English language. There is less competition amongst students when compared to some other countries, such as the USA. The Dutch governments believes that foreign nationals must integrate in Dutch society, which means participating by receiving education or working. It also means learning about Dutch values, language and culture. If you are from outside the EU/EEA, Switzerland or Turkey and come to The Netherlands for a longer period of time, you are obliged to learn Dutch and do an civic integration examination. To conclude, it must be pointed out that people from the Netherlands speak English quite well in all social classes. The level of English is much better than in most other European countries, such as France, Germany, Italy or Spain. Dutch citizens are very keen and proud on their values and traditions. Almost everyone in The Netherlands speaks English (reasonably) well. The Dutch government monitors your efforts to integrate. If you lack effort, you may lose your permit. The Netherlands can be classified as a liberal, self-service country. This means most Dutch are very independent and organized: most people try to manage things themselves. Dutch people are open-minded, freedom loving and friendly overall. In terms of speaking and acting the Dutch are very direct. They will do or say exactly what is on their mind and mean it. For example, when making plans to get a drink somewhere it is normal to say whether you can make it a) yes or b) no. A ‘maybe’ will generally be less accepted. Not showing up or showing up too late for an appointment (even if it informal) will often be considered as rude. But for the rest the Dutch are not easily offended. Dutch citizens have a very direct approach but are friendly overall. The Dutch are very punctual. There are several expat and international student communities, especially in larger cities. Blending in with the locals may be difficult if you do not speak Dutch, especially in smaller cities. The Netherlands has an excellent infrastructure of roads, railways, waterways and bicycle lanes (!). The public transport system allows you to travel relatively fast between cities, although, delays can be expected during rush hour. Because of the relatively short travel distances, owning a car is often not necessary. Intercity train tickets vary from 15 to 40 euro (return ticket) for long distances and around 5 to 10 euro for shorter distances. Going with a train from Amsterdam central station to Rotterdam central station and back costs 26 euro and takes roughly 40 minutes to an hour (depending on your connection). For shorter distances (< 5 km) a bicycle is a very commonly used method of transportation as there are plenty of cycling lanes. Cars are much more expensive than in most other countries, so is petrol.